If you’ve been waiting for Nokia to release its Windows Phone handsets in the US, you might be surprised to find out that this could have happened earlier if Verizon didn’t nix its plans to offer a Windows Phone codenamed the Nokia Om. The reason? The device didn’t support LTE, so it was a no-show for Big Red, which is pushing hard its huge LTE, currently adopted by a mere 5% of subscribers. Verizon Wireless should have stocked the handset in the end of January-early February timeframe. It seems now that the carrier has suspended its Windows Phone expansion, possibly in anticipation of the first Windows Phone 8 phones and Windows 8 tablets later this year. Nokia is the most likely candidate for debuting the Apollo update to Verizon customers. Sprint has also recently been tipped to hold on Windows Phone devices until Apollo. Additionally, the announcement of the AT&T-bound Nokia Lumia 900 might have tipped the scales against a Verizon-branded Nokia device in this case. There could have been other issues as well. I could certainly understand why VZW would not want to offer a non-LTE-capable WP handset. LTE is VZWs future. Add in the pending transition to WP8, and VZW probably figured it was better to wait for an LTE-capable WP8 handset. LTE verizen, 5%, occasional lost 4GLTE connections due to something. Don't know why TMO would invest in something unstable. Siemens/nokia has new hspa+ tech coming which tmo should invest. Tonns off money would be saved and used to get or fix indoor connections. Tons of money could also be used to correct your horrible grammar. LTE is unstable on VZW because they are still nixing bugs related to the LTE/CDMA handoff. LTE is a GSM evolution. VZW is pushing people to LTE because the faster everyone is there, the faster they can shut down their CDMA networks and just be an LTE only service. Tmobile wants LTE because of the extra bandwidth it brings. Should Tmobile ever start experiencing large growth it will find itself low on bandwith before it gets to ATT/VZW levels... just like ATT is now. Tmobile is a lot smarter than ATT when it comes to network implementation, as they are always preemptive in problem solving, not slow as molasses like ATT is about fixing their issues. Thats also why they went from the smallest 3g coverage, to the largest 4g coverage in less than 2 years. Eventually, all 4 major carriers will be LTE. And with any luck the phones will come with LTE radios that are capable on all of the networks, and we will have a much more open system where we can pick whatever phone we want on whatever carrier we want. Its going to happen sooner or later if the carriers like it or not. Every thing you said about the LTE/cdma handoffs is true. I have had alot of issues with that. I also hope that that your predictions are right about when all of the carriers are LTE, they will have interchangeable sim cards. The only problem with that is this: are LTE & LTE Advance compatible? Because lets be honest, by the time tMo has LTE rolled out, VZW will already be LTE Advance. The only difference between LTE and LTE-A as far as the user is concerned, is in the radio on the phone. The sim card should be the same. 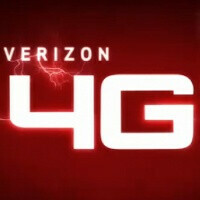 VZW has no plans to move to LTE-A in the next 3-4 years. Their goal is to cover the entire map in LTE first and drop 1xrtt and CDMA by 2018 at the latest. Thats old info so it might have been adjusted by now, but that was the plan. More than likely if Tmobile goes LTE in 2013, it will be to regular LTE as well, but there is a small chance they start on LTE-A since the tech will be cheaper than it was when VZW started. Also, just like T-Mobile did with their 3g network which they designed to be easily upgradable to HSPA+ 21 and 42mb/s, they will be forward thinking with their LTE network to make it easily upgradable. Im sure VZW has done the same thing, as they are pretty smart about money and future thinking. BTW, while your throwing side shots at T-Mobile, you forget that as of right now all of sprint's LTE plans have fallen through, which means more than likely they will be the last to LTE and the least likely to get LTE-A any time soon. Sprint is currently STILL on target to release their OWN LTE network, this has nothing to do with Lightsquared. The only purpose Lightsquared served to Sprint was to complement their network in case of capacity issues, it was just a backup plan. Although LTE networks are very fast, they WILL get congested once migration of the masses takes place. AT&T and VZW are not experiencing this just yet due to low adoption of LTE but eventually they certainly will have capacity issues. Sprint's LTE plans continue with Network Vision alongside Clearwire's TD-LTE network. Now I'm not sure the compatibility of TD-LTE and traditional LTE. However, TD-LTE is supposed to be much more spectrum efficient and much better at penetrating indoors. Also I want to say that the latest radios for the Nexus (4.0.4) have "fixed" any hand off issues for me. Before the updated radios it would take EASILY 15-45 seconds to transition between CDMA/LTE (if I did it manually) and probably longer if it happened on it's own. If I was using LTE with Pandora for example and drove into a 3G only area, my music would just stop. It would then take a while for the phone to realize what was happening and connect to 3G to play my music again. Now I would never even know it is happening. It switches perfectly fine on it's own and if I manually change from LTE to CDMA or visa versa it changes over in about 5-10 sec. @iamcc thats good information. Since i dont have a nexus, i wasnt aware of that. Easy solution Verizon, offer unlimited LTE and I'll jump all over it; on second thought, everyone else and me. You aren't very informed about HSPA+ and LTE. LTE is still a developing network, so yes it will have hiccups. The new HSPA+ has a theoretical 84 MBPS but it is the max that technology can go. LTE has current theoretical speeds of 100 MBPS download and they will go up to 1 GBPS with LTE-Advanced. It makes no sense to upgrade to HSPA+ and then upgrade again to LTE when they are forced to because they are using an outdated HSPA+ network. lol, your information isnt right either :) Current LTE networks can max out around 40. LTE-A will take it to 100mb/s. The 1gb is the theoretical max of LTE-A, not the "out of the gate" speed, so its going to be quite a while till u ever see that on a device. HSPA+ is what the backhaul for LTE is. When you are on "future" tmobile, you will be on LTE.. when you drop out of LTE, you will drop to 42mb/s HSPA+, then to 7.2mb/s 3g. On VZW, when you drop out of LTE you will drop down to 1.5mbps 3g CDMA. Also, the hand off between LTE and HSPA+ is pretty instant since its based on the same technology and wont have the hiccups that the LTE to CDMA process does. Actually, Remix, i dont contest you very often, but i have personally gotten up to 50MB/s here in minnesota. Besides, like i said before, VZW is going to be running LTE Advance & LTE while tMo is going to be running HSPA+ & LTE. I dont see that as an advantange. But i also have to say that tMo does have a big chance right not since they have extra spectrem fro ATT. In the long term, they will all be LTE/LTE-A only.. but thats a ways off. Until then, VZW will be going from LTE to CDMA for the next 5 years or so, while Tmobile goes from LTE to HSPA+ next year. And there is still no word on if Tmobile is going LTE or LTE-A. As a higher % of VZW customers get on LTE, the average speed will go lower and lower. only 5% of the users use LTE right now, and for some odd reason I wouldnt think MN was a heavily bogged down area. :) Tmobile has a rather large and quickly growing % of its customers on HSPA/HSPA+ as almost every phone they have come out with in the last year or 2 has been "4g". In the city with heavy traffic, i see regular teens and 20's on HSPA+ depending on what time it is. It may not be as impressive as LTE's top speeds, but for less than half the monthly cost and no actual difference on the performance of the phones (the phones cant even process the data that fast..lol), I'm a happy camper. Not to mention the improved battery life. Spikes are nice, but real world averages are much lower. @Bowingchu if you dont care about this stuff, then dont waste your time reading about it. This is the future of the industry, and these are huge decisions that will decide who succeeds in this competetive industry and who doesnt make it.